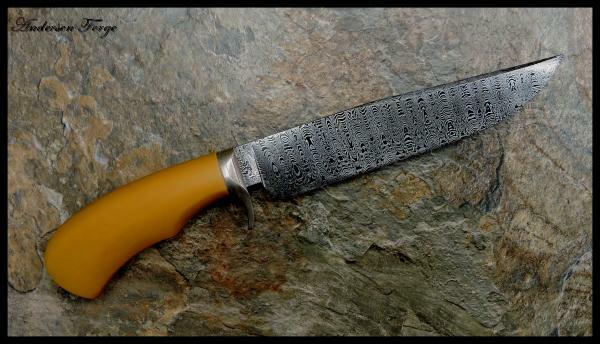 Knives recently made at Andersen Forge. Well, the gentleman who got this knife has been on my order list just about a year and a 1/2 now. It was time. I mention that to emphasize that this guy is probably the last person who I will sell Bakelite to. I acquired a substantial amount of antique Bakelite about 10 years ago, and I can see the end of the stash from here. What remains will be for my use only. So, some may show up at knife shows inthe future but that'll be about it. 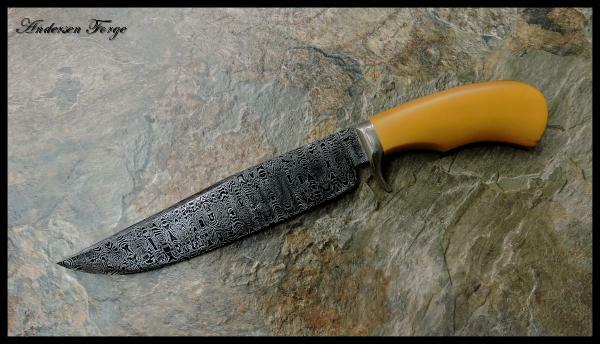 Also on this knife he wanted some of my 1903 wrought iron - which is ALSO!! dwindling in supply. 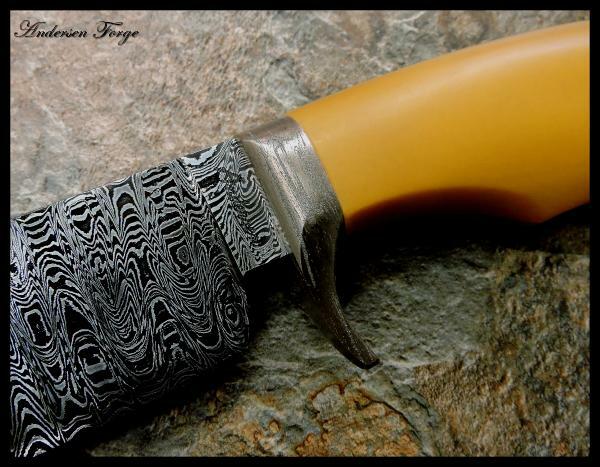 The Damascus blade is a laddered pattern of Crushed Ws. The knife is built in a take-down configuration which you can see in the video.